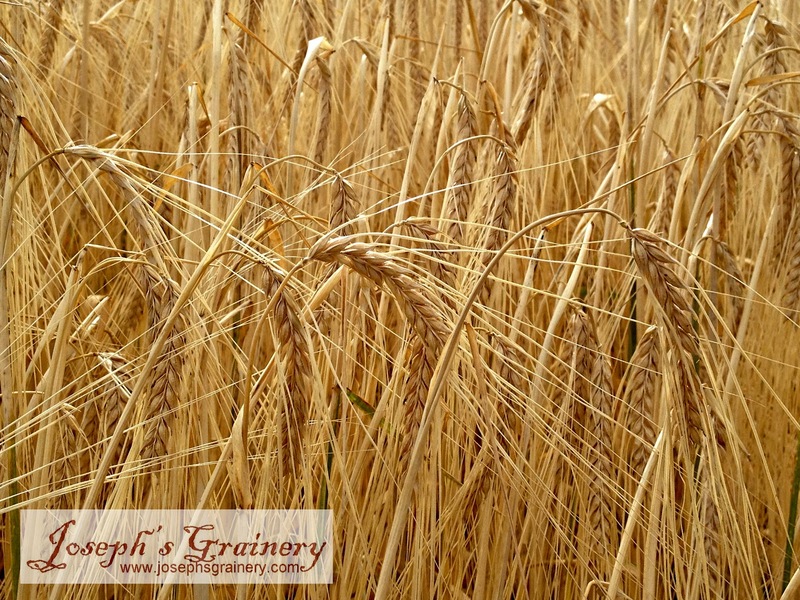 Joseph's Grainery: It's Harvest Time! Yep, it's the most wonderful time of the year! No, it's not Christmas. Around the Palouse many would argue that Harvest deserves that title. 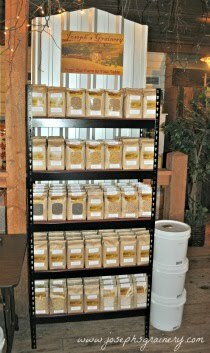 With the gorgeous amber waves of grain, the hot temperatures and the farmers reaping the rewards of a year's worth of hard work, I think most folks on the Palouse would say it's definitely a special season. That said, it was definitely time for my cousins, little brother and I to make our way out to the field and see how harvest was progressing. I didn't let the chance to slip behind the wheel of that gigantic 8120 International Harvester Combine pass me by. I think Katie's wishing she wasn't stuck in the cab, with me behind the wheel. 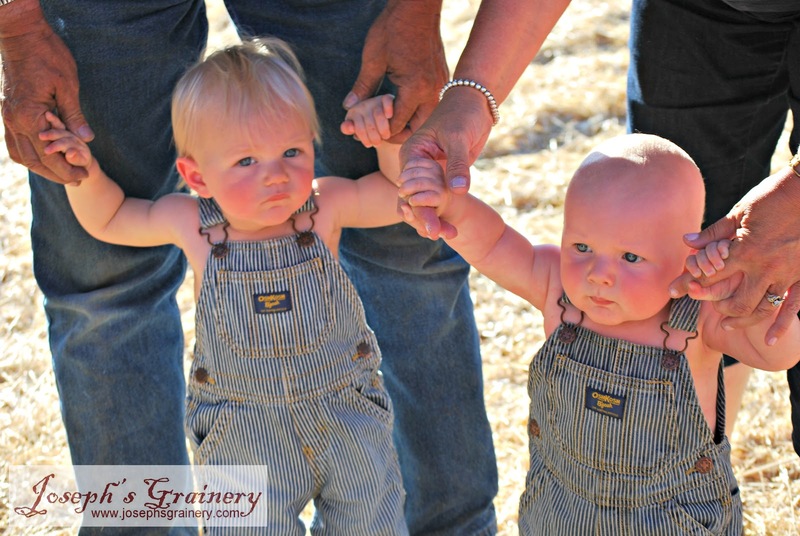 Owen and Bro did a good job of looking pretty darn cute in their matching overalls. 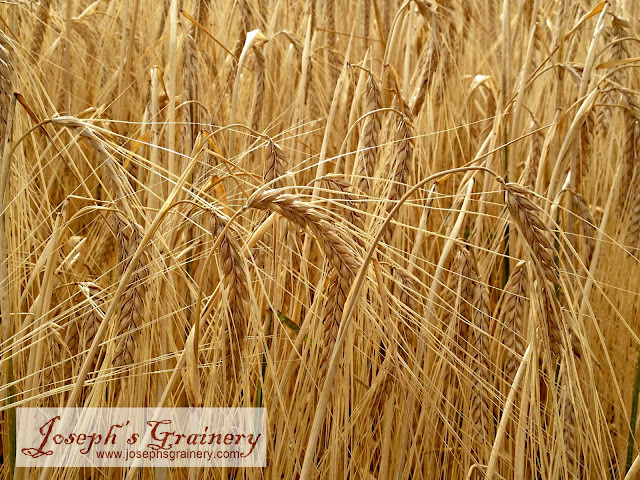 Joseph's Grainery Barley waiting to be harvested. 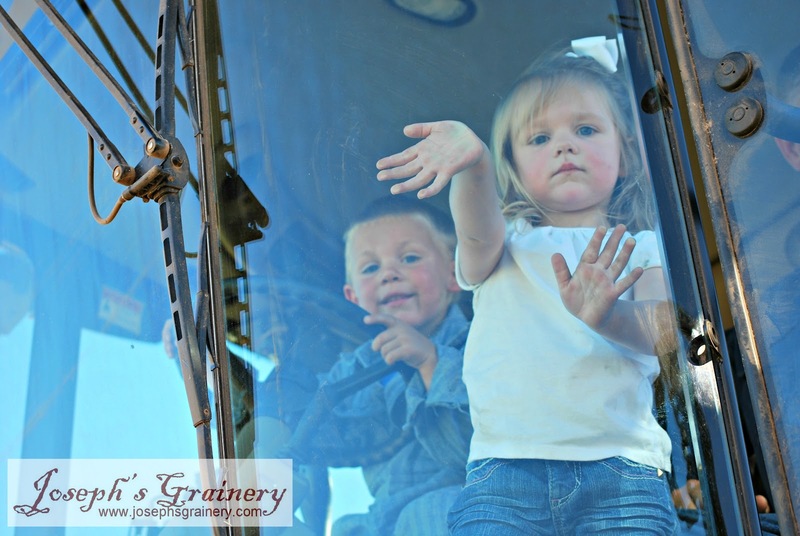 Us kiddos decided it looked like Harvest was off to a great start and I handed the wheel of the combine back over to my friend Darrel.